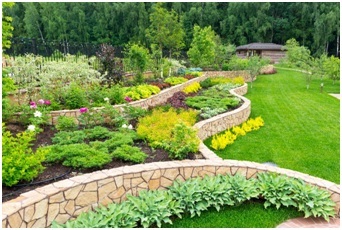 Here at Ground Source, we have been a leader in landscape design for well over a decade. When it comes to landscaping, there is so much more to it than most people realize, and we have found a few misconceptions that we would like to address so that you can have a better idea of what you may be in for if you would like to start a landscaping project on your property.First, whether it is sod removal in Orlando or a more complicated project, landscaping is far more than just gardening. There is a common misconception that landscape design is akin to gardening or yard maintenance when this simply is not true. The job of a landscape designer is simple yet complicated at the same time: and requires designing outdoor spaces to the specification of the landowner. These are also not to be confused with landscape contractors that complete the work. Fun fact about landscape design, did you know it requires a license? That’s right, and to obtain the license one must complete an accredited degree program along with supervised work experience and technical exams that test the landscape architect’s fundamental knowledge. When you hire a landscape designer like Ground Source you are getting much more than a job done; you are getting our combined experience and years of education. If you are planning to sell your property any time soon, you are probably looking for ways to boost the value. Landscape design can raise your value considerably, but you can’t do it the moment you put your house on the market. This is a long process which requires a lot of thought and planning. The best time to take on a landscaping design project is a year or two before you want to list your home. When you plan ahead your return on your investment can be substantial. Proper landscape design has a lot of benefits but one of them is the ‘green’ nature of it, and we’re not talking about the grass. There was a time several years back when people cited environmental reasons for completing outdoor projects,and while the fad has faded into obscurity,the indirect actions on the part of both home and business owners still benefit our planet.Did you know, for example, that many people are replanting their lawns with native grasses? 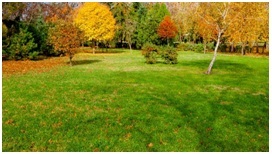 This allows the lawn to live better in the environment it is planted in and as a result,require less water. While this might seem like a small gesture, it is worth quite a bit when it comes to the green initiative. A landscape designer can help you keep up with the latest housing trends which is something that you will come to appreciate when it comes time to sell. If you are putting your house or building on the market at any point in the future, a landscape architect can help it stand out in the listings. While there are certain questions that you always need to ask, perhaps the most important has to do with lighting. Your lawn might look great during the daytime but how does it look at night? Can it be seen? Is the lighting adequate? There are dozens of tips and tricks on the internet that you use to draw attention to places in your yard,but in the end, you often need the help of a professional landscaping company to really bring out the best in your lawn when it’s dark. Remember: spending time in your yard at night is an entirely different experience than during the day and you want to highlight that. These five pointers will help you to build the perfect lawn whether you want to undertakea great hardscaping effort or do something a little more complex, like create a lighting scheme that brings out the best features of your yard. Don’t hesitate to give us a call and work out your landscaping issues. If you are looking to sell your home in the next few years or if you simply want a better-looking landscape, you have options at your disposal. Want to know more? Get ready for next week when we look at the benefits of retaining walls on your property.